You text each other all day! We live in a world now where everyone has a smart phone device! I know there are times where you are just saying hello, or sending a reminder, or perhaps sharing a laugh at a video you seen together on Facebook, or Instagram. As all my clients, family, and friends know I love romance! 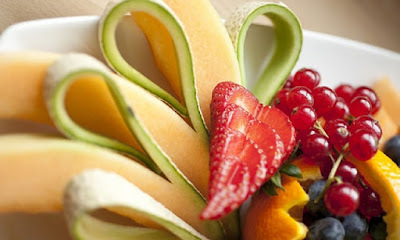 Here's a sweet little ideas for you (especially since love is in the air) and Valentine's Day is around the corner. I will give you some romantic tips, and ways to use your cell phone to WOW him! Surprise him with a gift, ship it to his job, or perhaps have it hand delivered to him at a restaurant! However, leading up to day the gift arrives, text hints of the gift. Don't give too much away (you don't want him to guess it). Just small tiny hints until the gift arrives! Set up reservations at your favorite eatery and program it in your calendar on your smart phone. Plan this on a day you know he's free and available. Add him on the calendar too (there should be a option to "invite"). Invite him within the calendar and he will get the alert too! He will love how thoughtful you are, and he will be surprised. Text him the lyrics to your favorite love song that describes how you feel. Especially, if it's a song you both love, that makes it even more special. 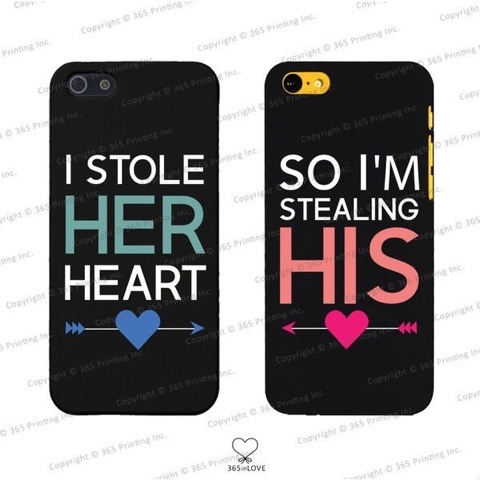 As soon as the text comes through send him a voice recording (your smart phone should have a voice recording option) telling how much you love and adore him. I hope you enjoyed these tips, and have lots of fun! Don't be afraid to get creative and add in more love and romance. If you like these tips and ideas please comment below! Happy New Year Everyone! 2016! Wow, last year was amazing, so many wonderful weddings, social events, engagements, engagement photo shoots, charity events, networking, New York bridal fashion week, speaking engagements, and more took place! I worked with some amazing clients, couples, and super excited for what 2016 holds! Furthermore, in the next several blog posts I will be reflecting on the previous year (2015). It's been a little while since I posted; my last post was by Once Upon a Vow, Daniela VillaRamos she's amazing! I have been away working on some exciting things for, The Sweetest Thing Events! It has been a great year, and I'm looking forward to 2016. However, before I drop any hints, I want to talk about winter weddings. 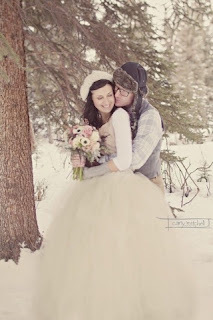 Let's take a look at some winter wedding ideas, wedding fashion and more! Create a romantic mood with a cute flowing vintage, long tutu skirt. Lovely, pretty white tutu is perfect for a modern wedding. You will be glowing in your wedding pictures as you wear this skirt. I love the way this picture is captured with the couple. 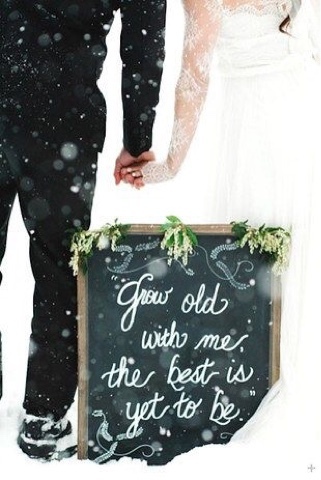 As guests enter your wedding, you want to have great signage. Remember this sparks up great conversation among your guests. Immediately following the ceremony you can implement the signage into your post wedding photography. 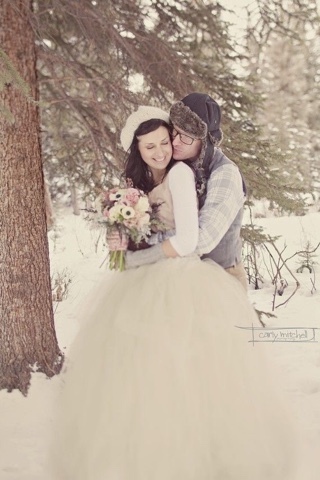 Winter weddings are so pretty, with all the snow, pine cones, snowflakes, makes for a dazzling backdrop. Wear a beautiful petticoat with your wedding gown. It looks amazing, and will keep you warm. The day will be full of pictures, and marital bliss. You want to stay nice and cozy. Stay tuned for more hints on what's coming soon to The Sweetest Thing Events! 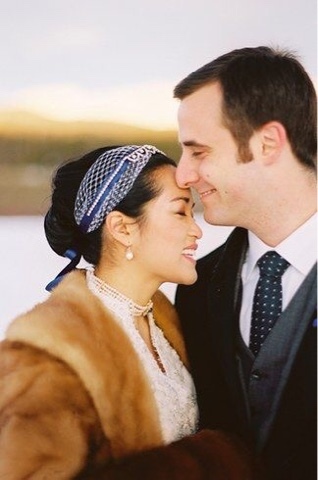 I hope you enjoyed these winter wedding tips! 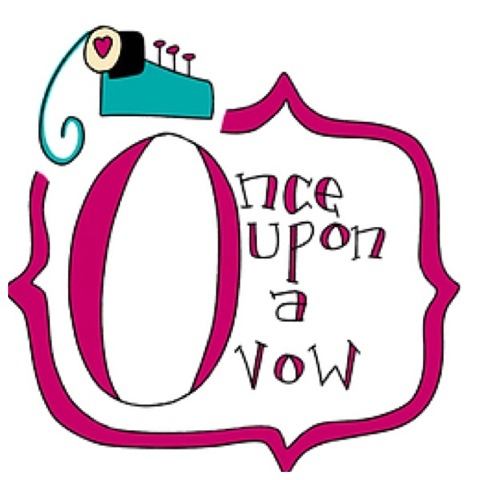 Once upon a Vow works with you to transform your LOVE + STORIES into unforgettable wedding vows, speeches, ceremonies, and every written word in between personalized to feel every bit like you. You said ‘YES’ to your happily ever after and now you can’t wait to say ‘I Do’! Wishing everyone could feel your love and excitement, you brilliantly decide to build your own wedding website. But where do you start and what do you say? First, pick the right wedding website platform for you. 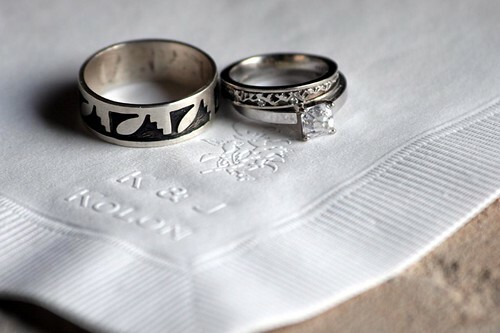 With so many WEDsite options to choose from, it’s important to figure out which one matches your needs and style. Maybe you want a free, no-frills platform that shares your wedding details and your love story. Or maybe you want more of an interactive website that helps you manage RSVPs, gift registries, and wedding photos taken by your guests. You might want a wedding website that comes with a personalized URL or one that links to your own purchased domain. There are even options, like MyWedding.com, that matches your favorite wedding website design to your wedding invitations so you can kill two birds with one stone. Once you’ve figured out which wedding website platform works best for you, give your guests a sneak peek into your big day with these five must-have WEDsite pages. This will be the first page your guests will see and their first look into your wedding day so you want their experience to reflect your wedding story style. Make everything simple, uncluttered, and clear. The menu should be easy to navigate so guests can find your registry, guest book, and every page in between. Add a beautiful picture of you two with your names and wedding date front and center. Welcome your guests to your story and thank them for celebrating your upcoming wedding with you. If you’d like to add an extra touch of excitement, include a countdown clock so you can tick off the days together. Share all those serendipitous moments that brought you two together, especially the details of how you first met, your first date, your favorite things to do together, and all the reasons you’re both imperfectly perfect for each other. Add a scrolling gallery of your favorite moments and take your guests through your sweet timeline. Everyone wants to know how they asked so give them those details here. You can walk them through both your perspectives on the whole experience, like their planning process versus your emotional reaction. This is the perfect place to share your favorite engagement photos or video, if you have one. Let your personalities and quirky love shine through in both your love story and proposal story pages. It will undoubtedly make your guests excited to witness your I Do’s! Your wedding website will be your guests go to resource for all your wedding day details, especially if you’re having a destination wedding or invited many of out-of-town guests. Clearly paint a picture of what the big day will look like - when is the ceremony, cocktail hour, and reception? Where will each be held? It’s important to be as specific as possible to avoid confusion, especially if there are multiple locations. Add a picture of the venue and a Google map widget so guests can be prepared and plan ahead. This is a great opportunity to highlight the important people in your lives, especially the members of your wedding party. Include a picture of them and a short introduction with their wedding party role (i.e. Best Man, Maid of Honor, Mother of the Bride(s)/Groom(s), etc.). Personalize each one, describing what makes them an important part of your life or tell a story about your friendship. On a more somber note, if you’d like to remember someone who is no longer here with you, include a Remembrance section dedicated to your lost loved ones. In this way, you’re acknowledging their importance in your life and giving others an opportunity to fondly remember them with you. These five must-have pages intimately walk your guests through your journey that they wouldn’t otherwise experience until your ceremony. But with a well crafted wedding website, they can share in your excitement, bask in your joy, and feel lucky to witness this incredible moment in both your lives. 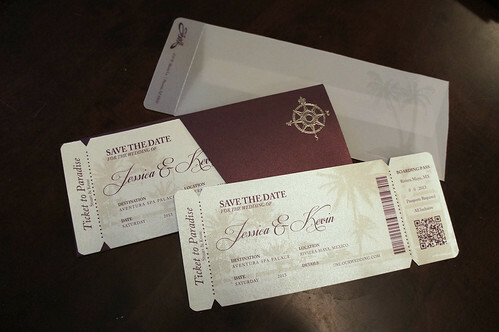 A Save.The.Date can be designed in many forms and ways. But it's basically a elegant way to announce to your guests that you are getting married. This speaks volumes for your special day that's coming up, and sets the tone! Furthermore, letting them know to make plans to attend your wedding. This is exactly what you send out BEFORE the formal wedding invitations. Hire a Professional Paper Designer! Please! Hire a professional that specializes in paper. The same person that is going to design your BEAUTIFUL wedding invitations; should be the EXACT same person that designs the SAVE.THE.DATES. You want everything to be cohesive, this is your wedding after all. Your wedding is one of the most amazing events (biggest events) you will plan in your lifetime. 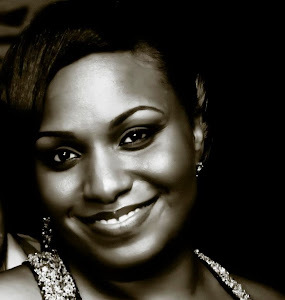 We talk about this on the Bridal Style Blog Wedding Talk Show. When you hire a professional you will get quality paper. You want a nice polished, and professional look. What you don't want is cheap paper (even the actual weight of the paper is IMPORTANT), that washes out the over look and feel of the Save.The.Date. When you have the menu cards, invitations, save.the.dates, place cards, ect you want everything to look amazing (and match). When do you send Save.The.Dates out? Rule: Ship out 6 months PRIOR to your wedding date. Once you have hired a professional paper designer (aka person the specializes on making invitations, and all other wedding stationary). Also, before hand you want to allow time to have the Save.The.Dates created, which I recommend to start that process 8-12 wks (if possible) before you ship. This allows time to gather mailing addresses directly from your guest list as well. Furthermore, time to have the envelopes "addressed" postage stamps, ect. You are ready to ship to all of your guests. Starting ahead of time makes this process so much smoother. Also, for a special added touch you can hire a calligrapher to address your envelopes for you (makes the Save.The.Date more elegant. How should I choose my overall style? The style or theme should be a true reflection of you as a couple. 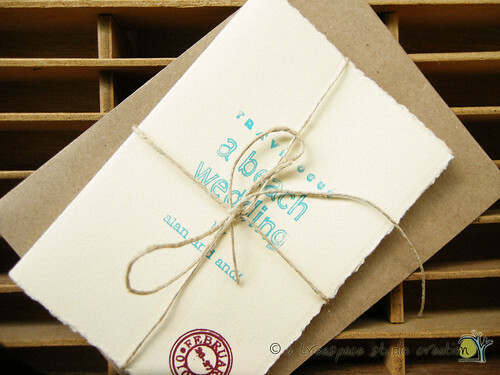 Starting from your wedding website, to the save.the.dates, and wedding invitations. This is the gateway into your wedding day. As mentioned, earlier in the post, this sets the overall tone. Perhaps, if you are having a shabby chic, or boho style, perhaps vintage rustic, or glam wedding; the Save.The. Date should reflect just that. Also, the time of year, season of which the wedding is taking place. You want to capture the true essence of that into that Save.The.Date. Not only is this exciting for the guests, but let's them know what to expect. When I invite guests over for dinner We love to offer a glass of wine. Not only that, I like to have our wines displayed beautifully on our nice wine racks. We spark up conversations about the many wine tours we have attended. There are so many awesome memories and experiences you have when you go to a winery. In today's post I want to talk about how wine is a great conversation piece. If you have not got a chance to check out previous post about the Wine, Brunch Tour ATL CLICK HERE. I have partnered with Soul Wander Travel and The Sistah Chick. Conversation Starter- sometimes you may have friends, family, or associates that come by your home. Maybe for a dinner, special occasion, or just because. 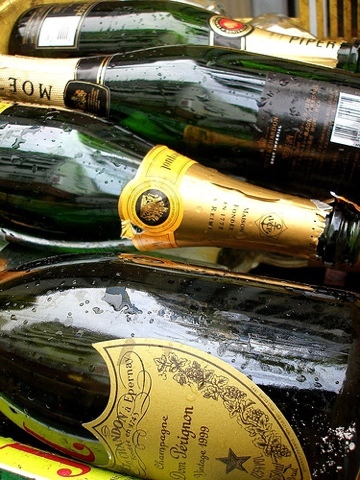 As everyone is gathered around talking, mingling, laughing, ect ... you may offer them something to drink. That's what sparks up conversation (pulling out a bottle of wine)! You ask them what type of wine do they like reds, or white, ect... You pour their wine, and wait for their reaction to see if they like it or not. This sparks up even more conversation! I think of wine as a excellent icebreaker! We like to talk to our guests about where we get our wine from, and what ingredients it contains. 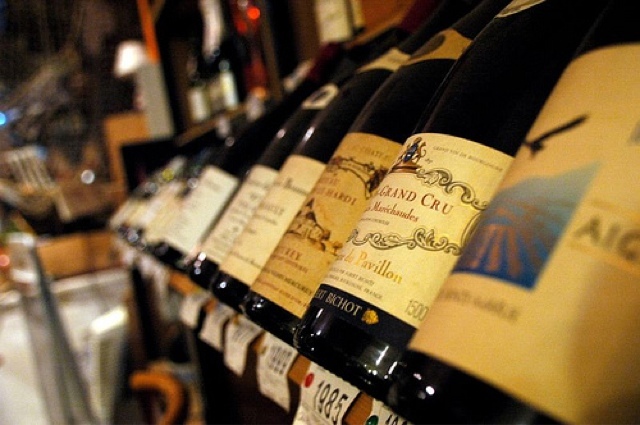 We very rarely purchase wine from a store; majority of the time it's directly from a winery. Teasing your Palette - when wine hits your tongue you will taste the flavors, and when you inhale, exhale all the aromas (it's a wonderful experience). Futhermore, when going to a winery you will learn about this (ask lots of questions)! Everyone of course has different taste buds. Some prefer semi-sweet, sweet, or even dry wines. There are even some wines you can drink frozen, and even warm! Make sure you hold you wine glass properly (By the Stem ONLY, not by the bowl, your body temp will warm up the wine, you don't want that)! I will blog later on "Wine 101" so you will be ready when you attend the Wine Tour! Cheers & Salute - have fun when tasting wine, especially when enjoying it with others. My husband and I always find that people are really interested in our many wines. 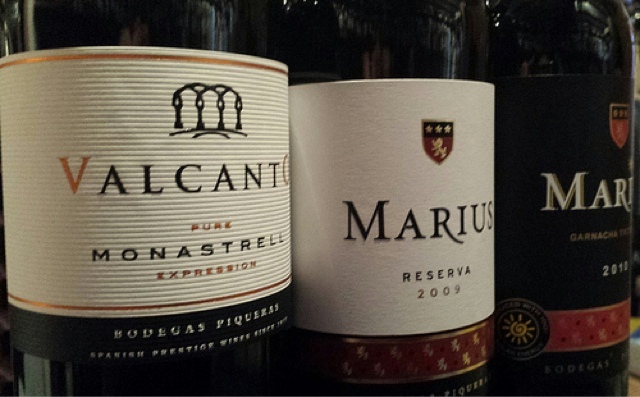 Because, the wines come from a winery there's a story to tell behind each bottle (an they taste really good). The holidays are among us, I'm sure you will be attending functions, parties, or hosting one yourself perhaps. 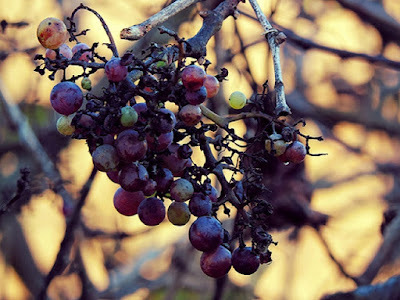 I hope you check out my last post, about the Wine Brunch Tour ATL coming 11.15.2015! I hope you had the opportunity to read the first post about the upcoming "Wine Brunch Tour ATL"! Sunday, November 15, 2015. If not, make sure you check it out! FUN & Relaxing - everyone loves to have fun (of course) and taking a break from the everyday hustle and bustle (work, school, family, kids, ect..) is very necessary. This event is perfect because you can start your week off in the beautiful wine country of Georgia. Ride comfortably on a bus (you don't have to worry about drinking and driving), kick back and enjoy the sights, and atmosphere. Don't forget there will be Swag Bags and giveaways (awesome things inside those bags) and you get to attend 3 wineries, get a souvenir glass, and lastly have a delicious brunch. Sundays are the start of a new week, and also a perfect day to eat brunch (I know I LOVE a good Sunday Brunch). Wine tasting is very relaxing and enjoyable; it's a win-win! 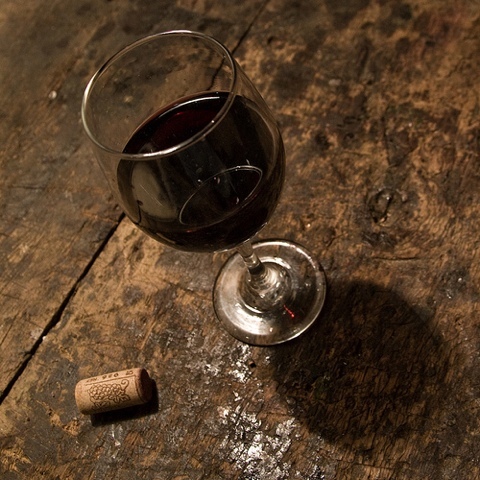 Taste & Learn - not only do you have a opportunity to learn about the various wines, but you get to taste lots of wine. You get to a chance to ask questions about the wines, learn how they are made. You will learn about the reds, whites, semi-sweet, sweet, dry, ect wines. Tasting the different wine is so relaxing as well. Tasting is the best part, you get to determine what you like and dislike. Everyone's taste buds are so different, it's important to learn how to properly taste the wines. I have another blog post coming soon about that! You deserve it - here's a reason to get out of the house. Gather your friends, plan a girlfriends day out. Plan that special date, propose to the special someone. Grab the fellas, and head out to wine country. Why not treat yourself? We have to make time for ourselves, it's so important. You could even buy a ticket for someone else as a gift. But, know that you deserve a nice outing, take advantage of the opportunity to go before it's sold out. I hope you enjoyed these 3 reasons to attend the wine, brunch and wine tour ATL! Please, look out for future posts coming soon! Check out the previous post, CLICK HERE and we look forward to seeing you at the wine tour.